Media registration for the 26th Harm Reduction International Conference (HR19) is now open. It is limited to qualified individuals who are attending HR19 in their capacity as journalists or community educators representing recognised general news, medical, community-based or harm reduction service organisation-based outlets. Media registration permits entry to all conference sessions, the exhibition and poster area, the opening and closing sessions, and the media centre. Conference registration fees are waived for all accredited journalists who attend. 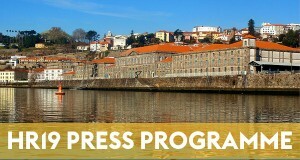 Journalists who wish to attend HR19 are invited to apply for a media pass. Simply submit your name, email and the outlet you represent (see right-hand column), and HR19’s media team will be in touch to confirm your attendance. Please note that you may be asked to provide examples of your work, a press card or a commissioning letter from your editor. Oral abstracts - All oral abstracts being presented at HR19 are embargoed until the start of the session in which they appear, OR during the press conference/media roundtable they may be featured in – whichever is earlier.